Guide to manually integrating Fanplayr into eCommerce sites. Using Fanplayr with your Magento store. Integrating Fanplayr with Shopify Plus. Using Fanplayr with your Magento 2 store. Integrating Fanplayr with Miva Merchant. Integrating Fanplayr with your CommerceV3 store. Integrating Fanplayr with your Volusion store. Integrating Fanplayr with your PrestaShop store. Integrating Fanplayr with your Nexternal store. 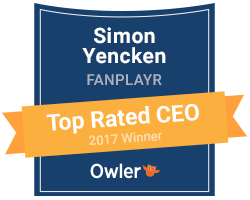 Add Fanplayr to your SEO Shop store. Integrating Fanplayr Web Push Notifications.